Ljubljana is a hidden treasure in and of itself. It seems like everything we found in this charming Slovenian capital city had been a secret at some point. My Swiss teammate, Julia, and I ventured to Ljubljana last weekend. Apparently, that's a popular question. Our German friends, my American friends, her Swiss friends, and even the people we met in Slovenia asked us, "Ljubljana? Why?" We were like, "Why not?!" We knew we wanted to take a trip together after the season was over. I sent Julia a list of possible destinations that included Hallstatt and Innsbruck, Austria, then Lake Bled and Ljubljana, Slovenia. Her response: "Ljubljana! 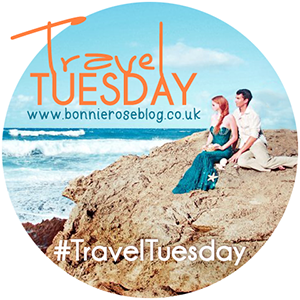 I have been dreaming of going there for such a long time!" For some magical reason, a thirty-year-old American and an eighteen-year-old Swiss had both been wanting to go to Ljubljana for the past few years. Our destination decided, we combined our general ideas of what to do, I convinced her staying in a coed hostel was actually an amazing idea, and we even tied a few hours in Salzburg into the deal. I haven't heard anyone say that Ljubljana is a bad idea. It's just an overlooked city in an overlooked country. I bet most of my fellow Americans may not even know that Slovenia and Slovakia are two different places, let alone be able to point them out on a map! There are hundreds of treasures to be found in Ljubljana, and I am sure thousands more in the rest of Slovenia. 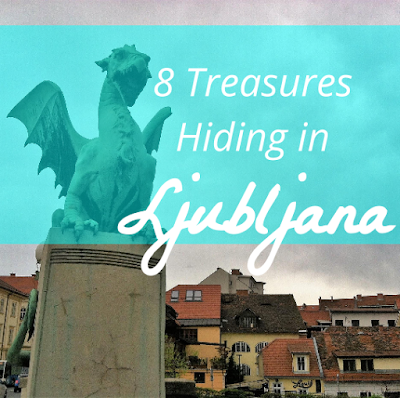 These are the eight treasures that I found most rewarding, and they are more than enough reasons for me to return someday again to beautiful Ljubljana. While not technically IN Ljubljana, half the adventure is just getting there, right? I had no idea that I would have so much trouble sleeping on the trains and buses because the scenery was unbelievable! Both of our routes (from Salzburg to Ljubljana, and from Ljubljana to Munich) were out of this world because we were driving through one of the more beautiful countries ever: Austria! Soaring snow-capped mountains, nestled wooden chalets, vibrant green valleys: the drive was straight from a fairy tale. It prepared me to have high expectations, and I was not disappointed! Yes, I am obsessed. I'll even drink it happily when it's just the cocoa powder in hot water. Ljubljana cafes offer the cheap cocoa in water drink, but they also offer a true hot chocolate, melted and steamed to perfection. Then they offer it to be flavored - and not with artificial syrup flavors, but with the actual ingredient (think real cinnamon and real shredded coconut). Oh, and do you want whipped cream? Everywhere we went, it was delicious, but our favorite breakfast spot was at an adorable cafe around the corner from our hostel. I can't find the name of the cafe anywhere, but there is a Julius Meinl sign on the outside of it, and it's right by the Mexican food joint mentioned below. Maybe the only thing better than a castle is a castle on top of a mountain. The hike was more like a steep walk, and I was able to do it in a pair of slip-on shoes. The castle was wonderful, of course, and we spent a few hours drinking more hot chocolate and taking in the sunshine outside the cafe in the courtyard. The coolest thing about going up to the castle, though, was the views. We could see the entire center, the river, and way beyond all the way to the mountains. We really felt like we were on top of the world! This obviously must make a treasure list. I only find a shop I really love ever so often (like in Milan) because I'm usually really turned off by overly touristy stores just looking to make a buck. This place is definitely looking to make a buck, don't get me wrong, but they do it by giving you access to a ton of free samples first! Don't believe me? You could actually get buzzed in this store if you take advantage of all the free alcohol just asking to be tried! To me, this is good business: convince your customers they need your inventory by letting them try it for themselves. Julia and I both walked out of there with the blueberry liqueur and loads of chocolate. The rest of the treasures are detailed in the second half of this post here.